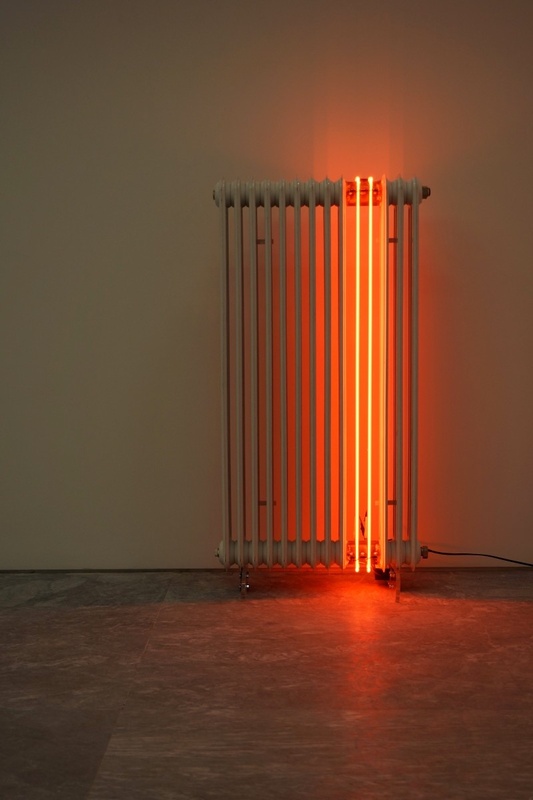 Finding inspiration from the object itself Paris Sargologos responds via a playful attitude to transform the usage of an iconic, domestic radiator into something more surreal, more poetic. Changing its elemental nature, from heat source to light. He creates a dialogue between the hefty steel and the lightness of the neon.